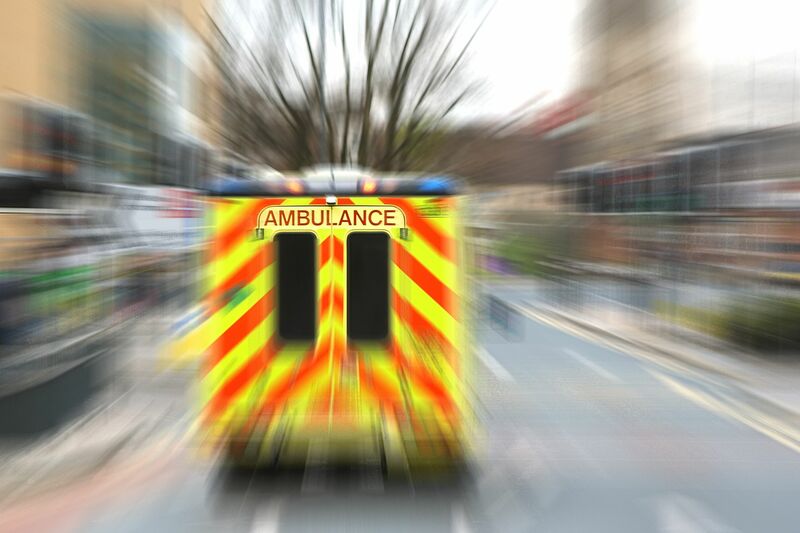 England – UK ambulance response time reached a lower record. According The Sun, only 6.2% of people in England survive a cardiac arrest when taken to hospital by ambulance. And in more difficult areas it is even worst! The percentage drops to 3%, while the best countries in Europe reach 25%. 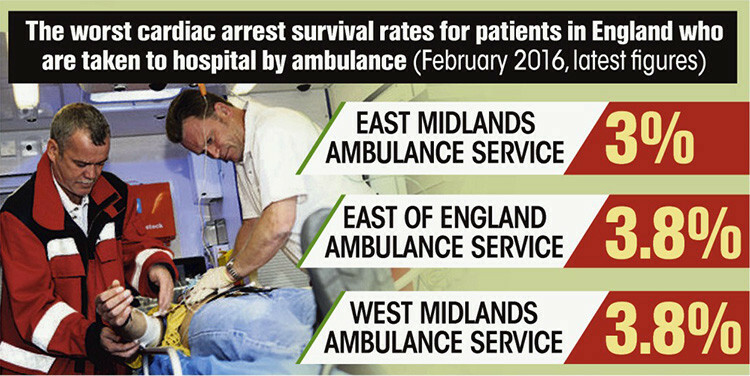 In particular, the deadliest place is representaed by East Midlands, where just this 3% survive a cardiac arrest. In February this year, East Midlands ambulances took 261 cardiac patients to hospital. But only 10 survived. From May, researches show that in the past year almost 30% of ambulances in England failed to reach the most serious cases in eight minutes. 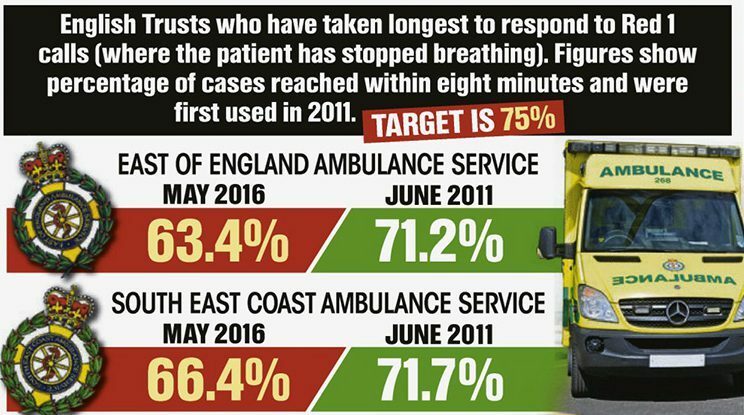 The Government target is for 75% of ambulances to respond in this time. 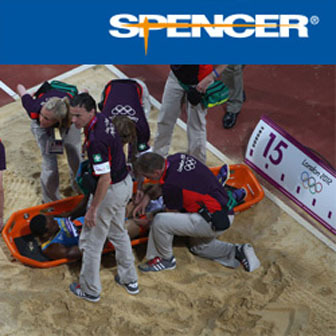 NHS England tries to make an intense pressure on ambulances to increase the efficinecy. 10.8million emergency calls were made to ambulance services in England in the last year, up 7.1% over 12 months. Government cuts are blamed by unions and patients’ groups because it crippled the service. In May, 70.5% of ambulances in England reached the most seriously ill patients within eight minutes, down from 76.9% last year. Anyway, Scotland did worse than England: ambulances reached only 68.3% of the most serious calls on time. Wales rejected the trend with a 75.5% average. Rates of people who survive cardiac arrests has also been falling, with a two per cent drop — i.e. more or less 56 deaths — since the same time last year.